Cathy Sue Boeckholt Kulland, age 59, of Roosevelt, passed away peacefully March 28, 2019 surrounded by family and friends when cancer robbed this world of a beautiful soul. She was born February 21, 1960, in Bancroft, Iowa, to Harold and Lois Boeckholt. She graduated from Swea City High School in the spring of 1978 and moved to Roosevelt, Utah, in 1979 and there she met and married Jeff Kulland on November 28, 1980. Together they raised their family, Shanna, Zac, Jake and Jesse and they started their business together in 1996. Cathy was an amazing mother and not just to her own but to many that knew her as “Momma Cathy.” She was very active with her church family in the WON ministry and on the Praise Team at Roosevelt Baptist church. She loved music and wrote many songs that she shared with kids of all ages. She blessed all who heard her beautiful voice. 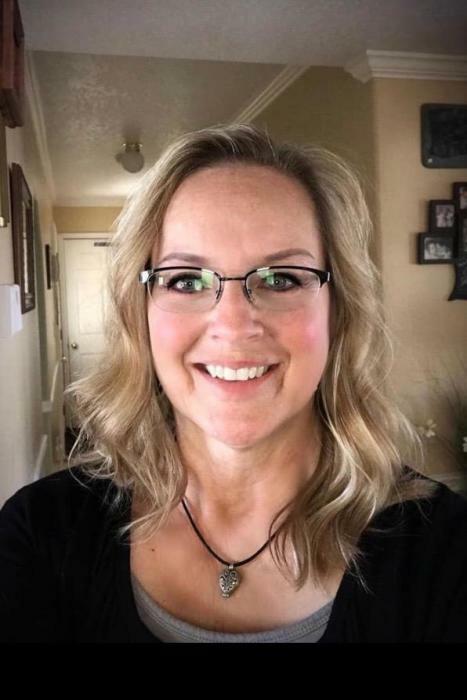 Cathy is survived by her husband of 38 years, Jeff; children, Shanna Quick, Neola; Zac Kulland (Shay Christensen), Roosevelt; Jesse Kulland (Mac Nulle), American Fork; grandchildren, Tranden, Kiaren, Reese, & Krew, and numerous nieces, nephews, aunts uncles, and cousins. Cathy was preceded in death by her son, Jake Kulland; sister, Sarah Leininger; brother, Richard Boeckholt, her parents, and parents-in-law, Darwin & Donna Kulland. Memorial services will be held on Tuesday, April 2, 2019, at 11:00 a.m. at the Roosevelt Baptist Church. The cremated remains will be interred immediately following the service.